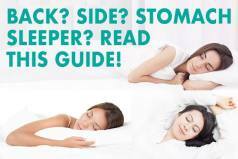 What Is Sleep Apnea? And How Do You Treat It? Many people around the world suffer from sleep related disorders. One of the most common sleep disorders is Obstructive Sleep Apnea or simply just sleep apnea), which affects at least one in fifteen people. When sleep apnea is left undiagnosed, it keeps getting worse and worse and can also become fatal. Although hundreds of people suffer from this condition, less than twenty percent get a proper diagnosis or treatment. A lack of sleep because of sleep disorders can affect your everyday quality of life. Sleep is the body’s way of healing and rejuvenating itself from the day’s mental and physical activities. People who suffer from sleep disorders often feel tired and disoriented throughout the day. They have troubles focusing on work and other activities. If this continues for an extended period, the person can be affected by daytime sleepiness and high levels of stress. Sleep apnea is a major cause of all of these conditions. There are several types of sleep apnea, with Obstructive Sleep Apnea being the most common. With this type, breathing stops and starts periodically when the person sleeps. It is caused by the throat muscles which tend to relax during sleep and block the airway passage, making it difficult to breathe. The most common symptom of Obstructive Sleep Apnea (OSA) is snoring. More often than not, snorers suffer from OSA but are rarely diagnosed. Overweight or obese people: Most people who suffer from obstructive sleep apnea are overweight or obese. When fat is deposited around the airway, it blocks breathing and impairs sleep. Being thin, however, does not mean you are not at risk. Anyone, regardless of weight, can be affected by this condition. People with hypertension: High blood pressure causes a rise in diastolic and systolic pressure which contributes to sleep apnea, impaired breathing and snoring. Smokers: Those who smoke are at a higher risk of being affected by obstructive sleep apnea. Smoking causes the retention of fluids in the air passage thus causing impaired breathing. People with a narrow airway: If a person has a naturally narrow airway or enlarged tonsils or adenoids, this could be a serious factor contributing to sleep apnea. Surgery is usually required for this condition. The biggest cause of sleep apnea is the blockage of the air passage by the relaxed throat muscles. When these muscles relax, the air passage becomes narrowed, leading to impaired breathing. If this lasts for more than ten seconds, the oxygen in the blood will start to lower and carbon dioxide will start to increase. The brain has the innate ability to correct breathing by waking the person up for a brief moment which the person rarely remembers. When these episodes begin to repeat several times every hour during the night, they prevent the person from getting enough of a quality night’s sleep thus causing excessive daytime sleepiness. Tiredness, low levels of energy and a lack of concentration are all repercussions of sleep apnea. The sufferer will often not remember the impaired sleep or realize what the problem is. Loud snoring: Usually, snoring that is loud enough to wake others up is caused by some sort of sleep apnea. Loud snoring should always be diagnosed and treated by a doctor to get to the root of the problem. Daytime sleepiness: Daytime sleepiness can be caused by many reasons, however if it continues for an extended period of time, it may be because of obstructive sleep apnea and lack of sleep. Waking up abruptly with a dry mouth and throat are also symptoms that may imply to obstructive sleep apnea. Morning headaches may be present along with these symptoms. Irritability, mood swings and depression can result from the lack of restorative night’s sleep caused by obstructive sleep apnea. Oral Mouthpieces: Dental equipment that fits in the mouth to correct the tongue, jaw and soft palate position and clear the airway. Continuous positive airway pressure (CPAP): This is known to be the most effective treatment for obstructive sleep apnea. CPAP requires wearing a pressurized mask over the nose and mouth while sleeping, which helps to keep the airway unblocked by forcing air through it. It takes a little time and effort to get used to the mask. However, it is a very successful treatment. Laser surgery: This is a simple process that shortens the soft palate with the aid of a laser beam. Surgery: Known as uvulopalatopharyngoplasty, this surgery minimizes the symptoms of obstructive sleep apnea. It removes the tissue out of the airway, but it has some side effects such as bleeding and pain. The right type of a mattress: A good mattress can help you deal with sleep apnea or at least reduce its symptoms to a certain degree. 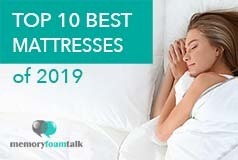 Click here to see what is our top choice for the mattress effective in dealing with sleep apnea. Obstructive sleep apnea (OSA) is a treatable condition if properly diagnosed. 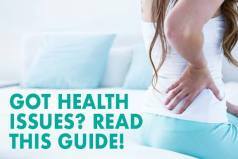 If you notice any of the above symptoms and suspect you might be at risk, consult a doctor for a proper diagnosis and treatment.